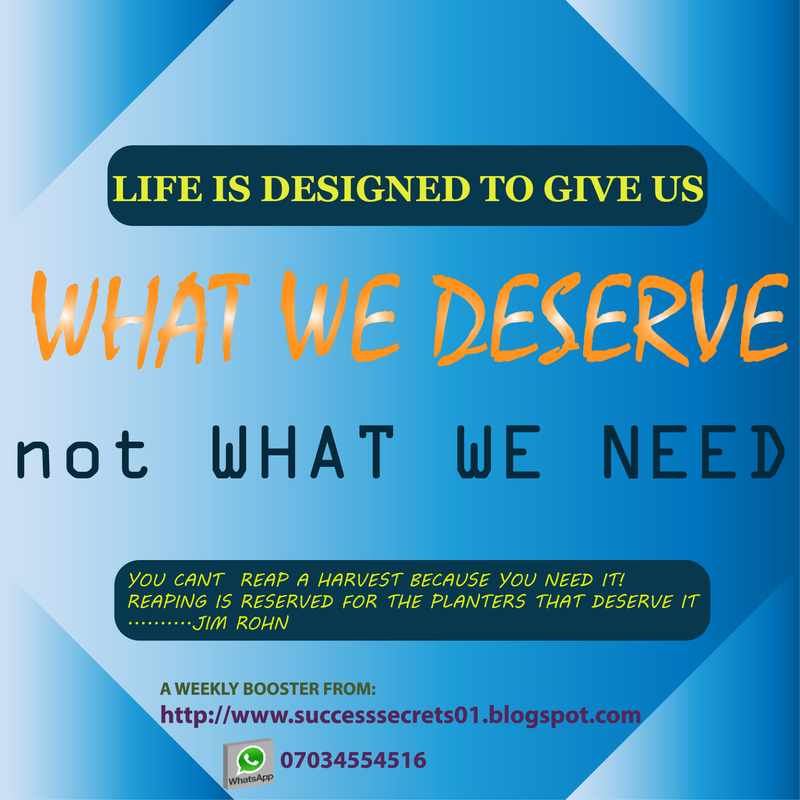 This is your WEEKLY ENERGIZER for this week. 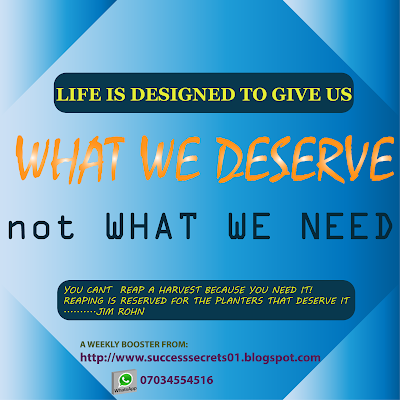 LIFE IS DESIGNED TO GIVE US WHAT WE DESERVE not WHAT WE NEED!!! But you can be the first to comment on it. Drop your comments in the comment box below.